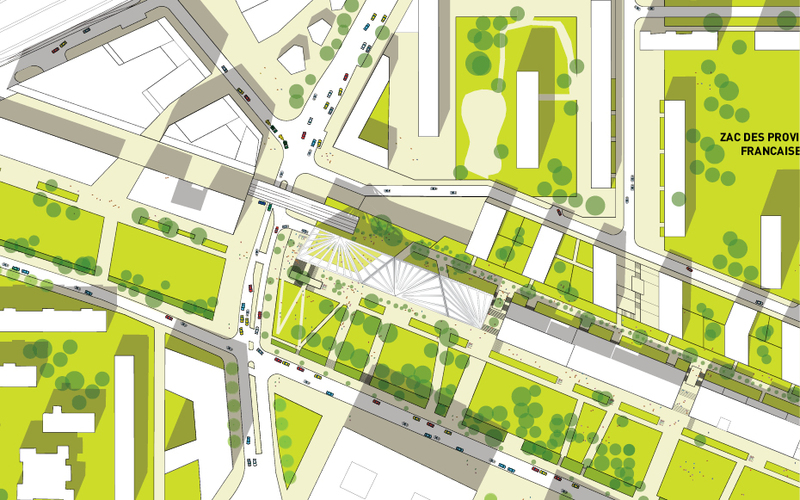 Ilot 9 lies at the centre of the new masterplan ‘les terrasses’ located to the west of La Defense. 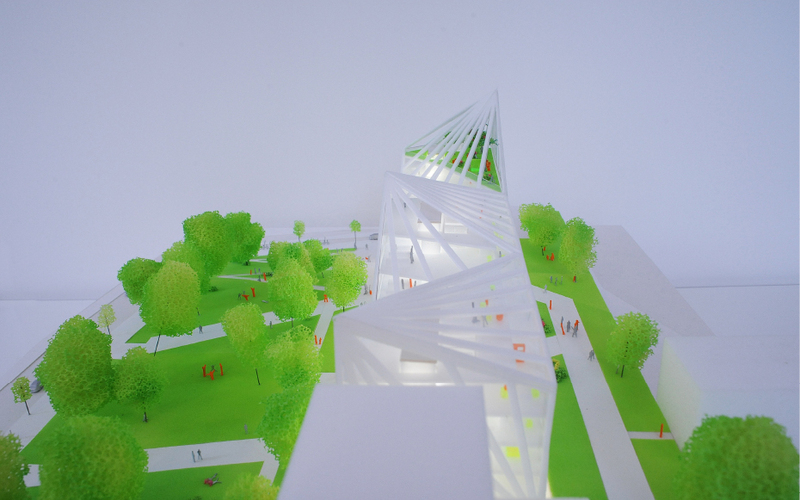 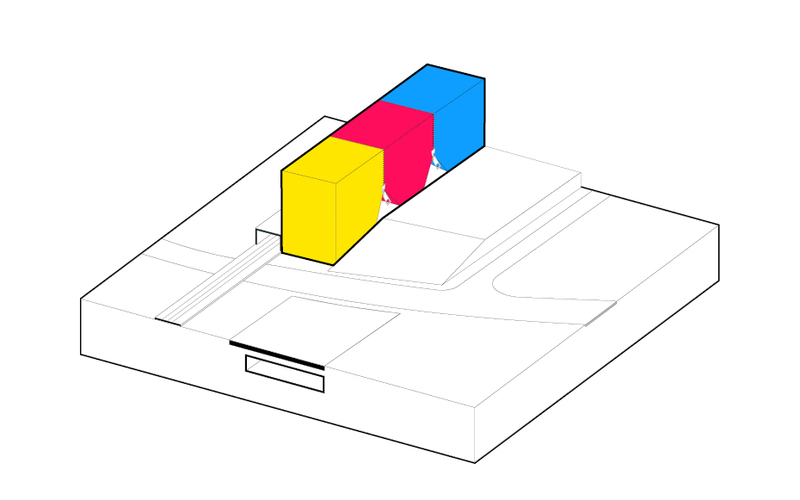 Foreseen as the development’s headquarters and a community facility, the site is at the end point to a new promenade and at the primary crossing point between existing communities. 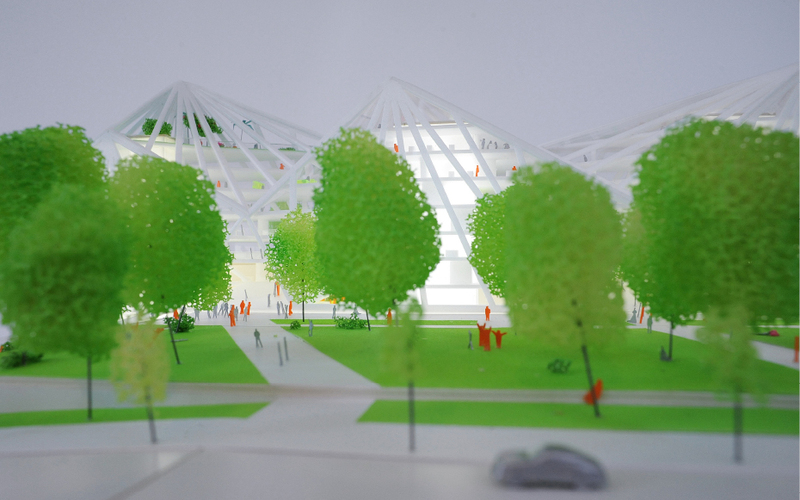 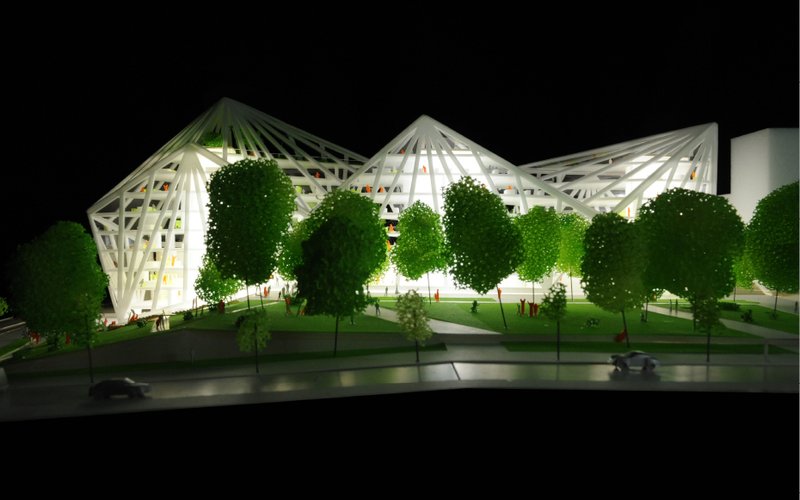 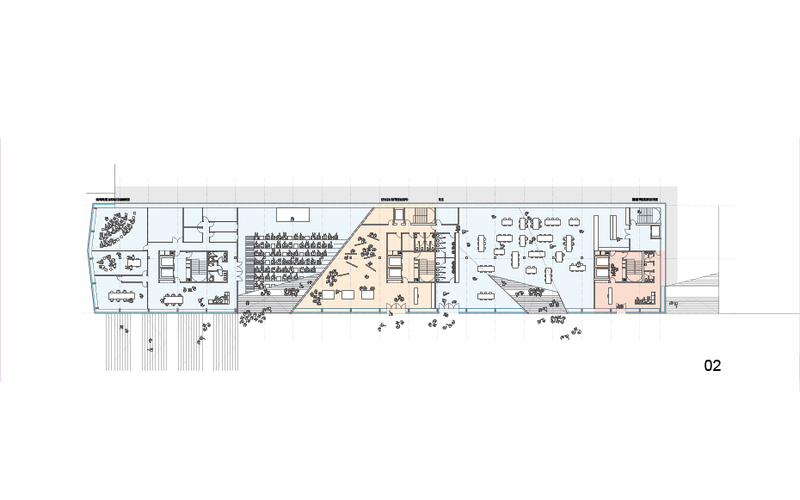 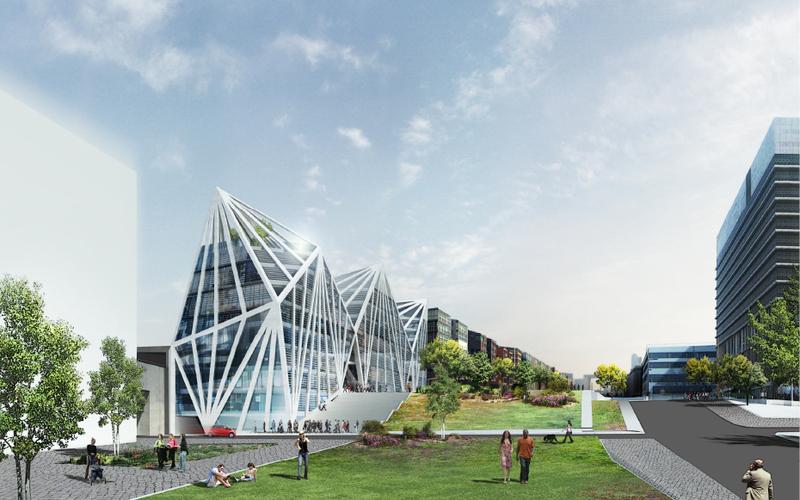 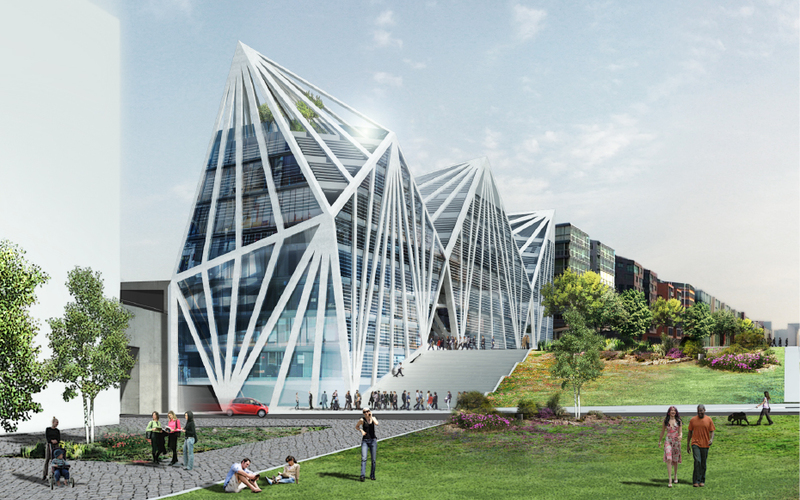 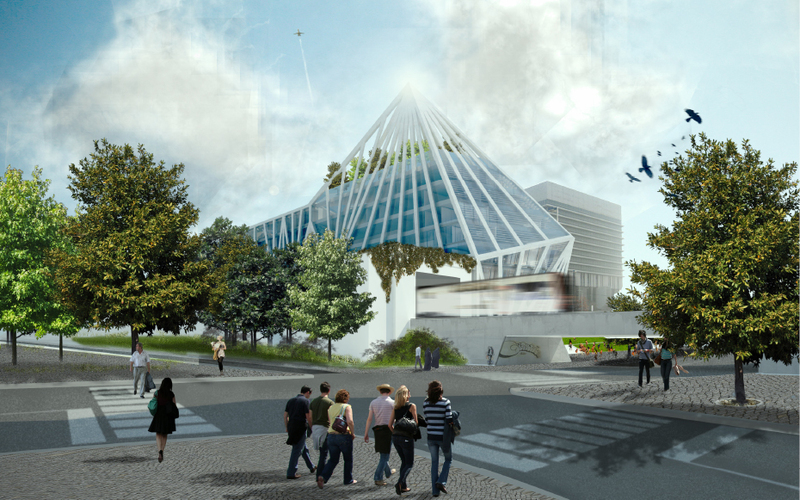 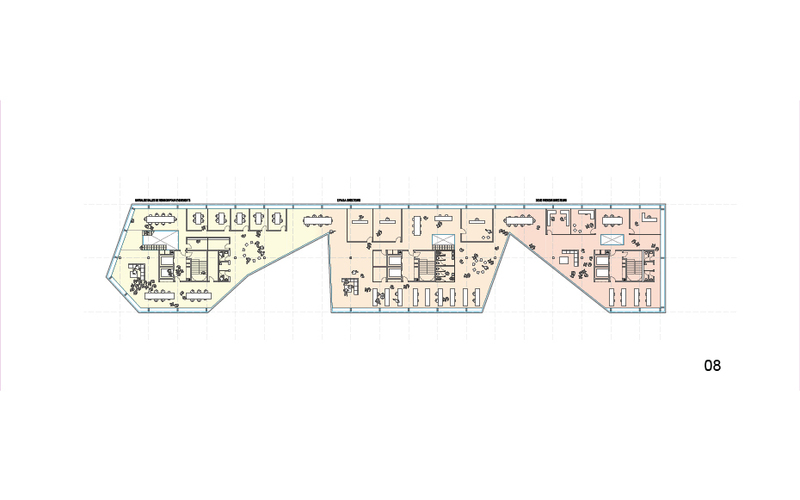 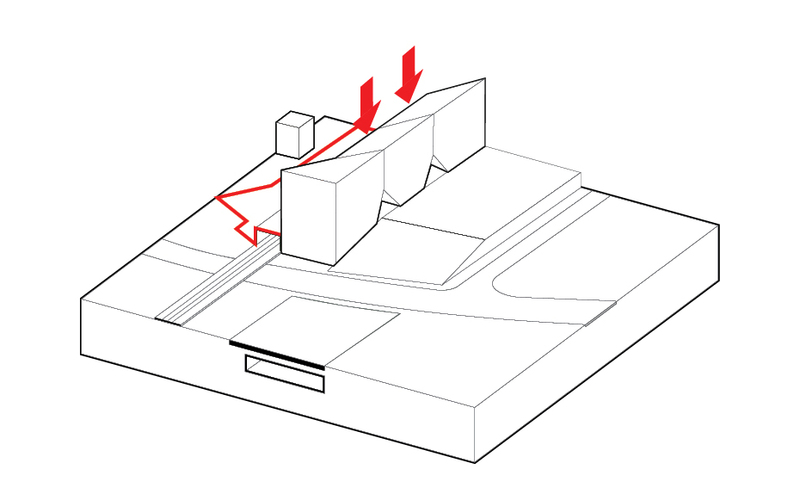 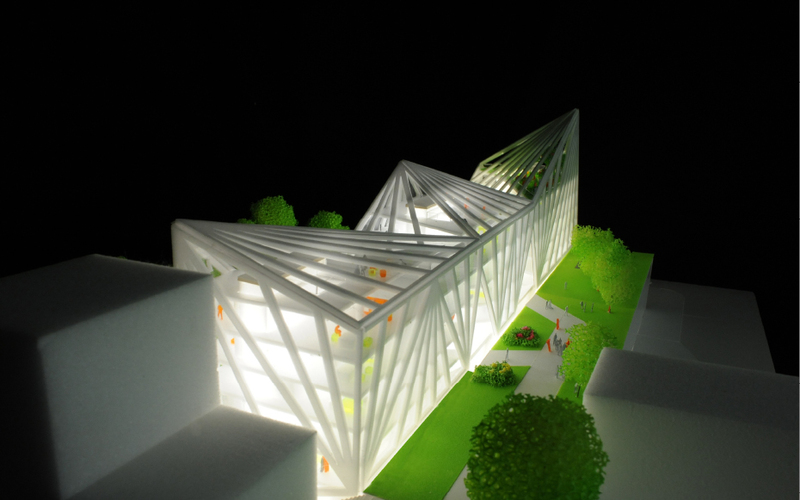 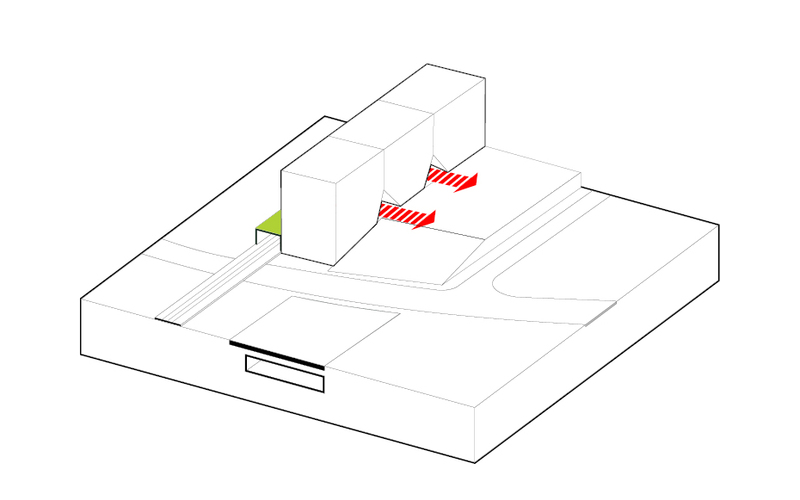 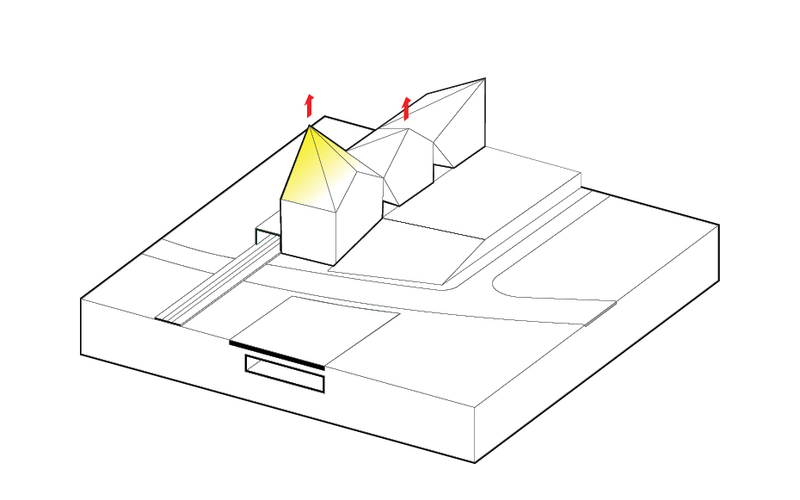 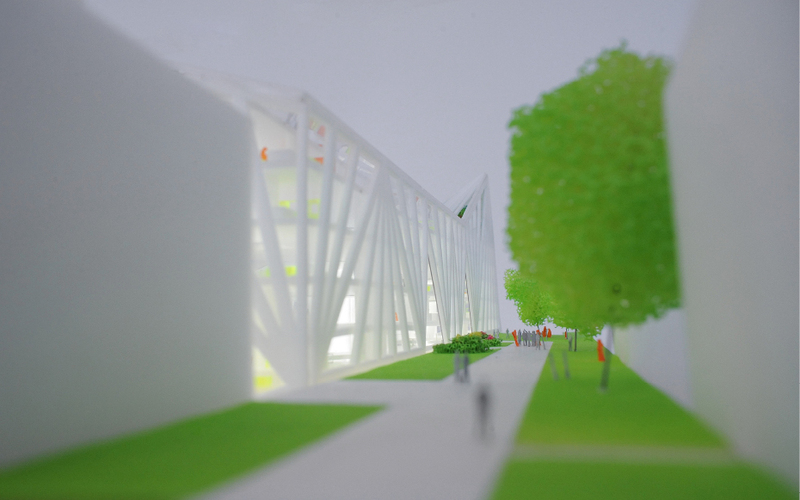 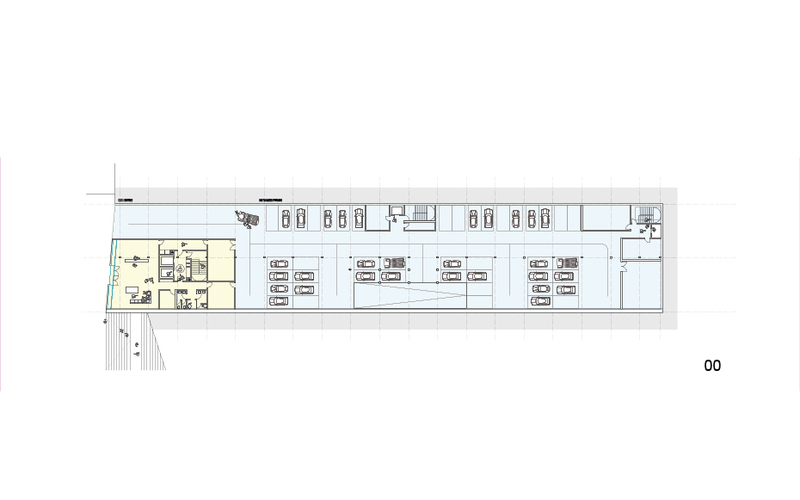 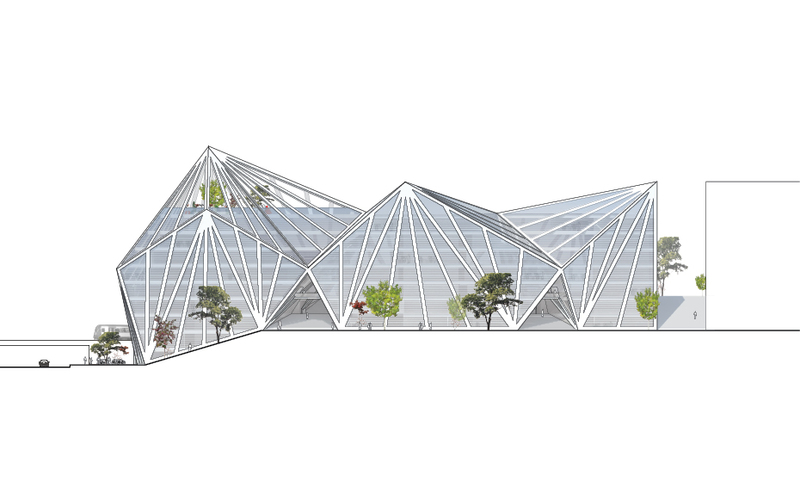 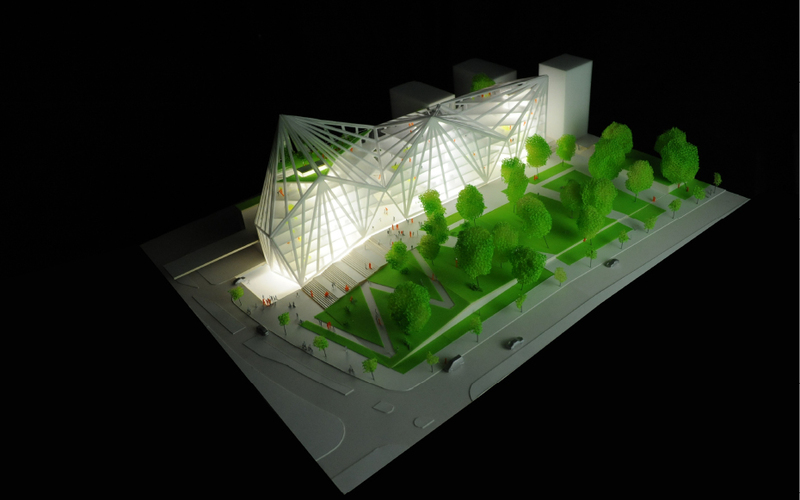 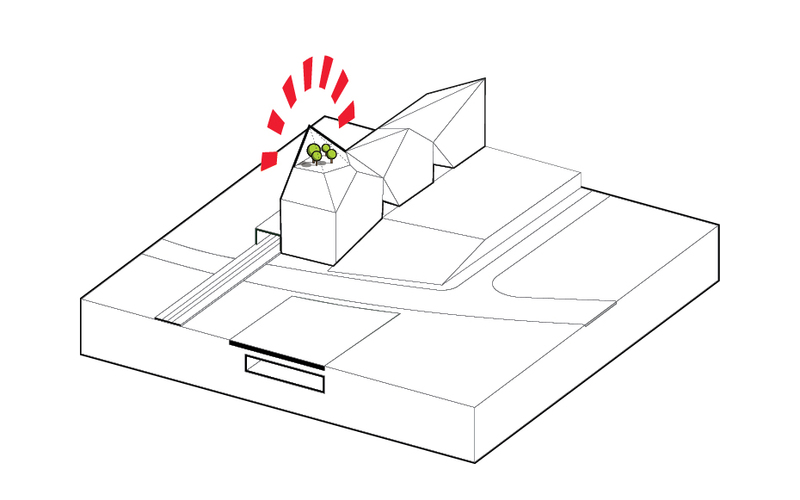 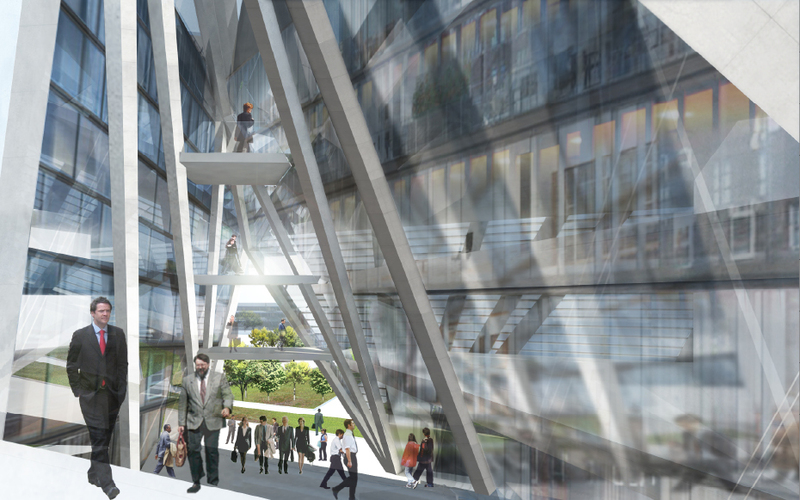 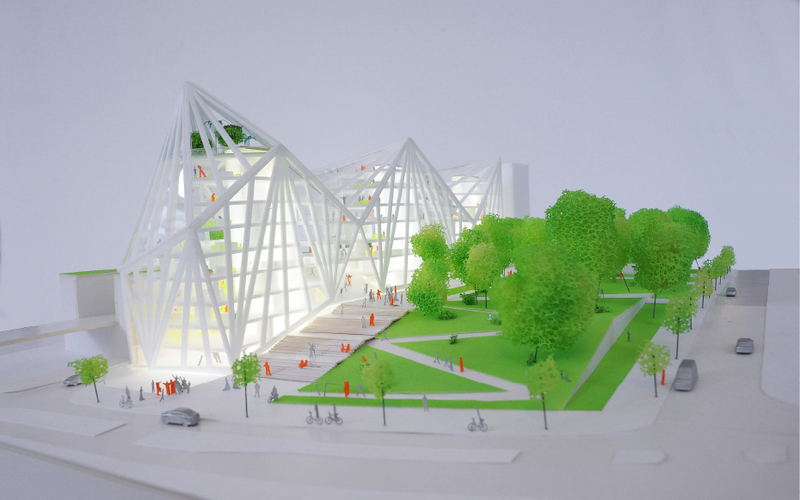 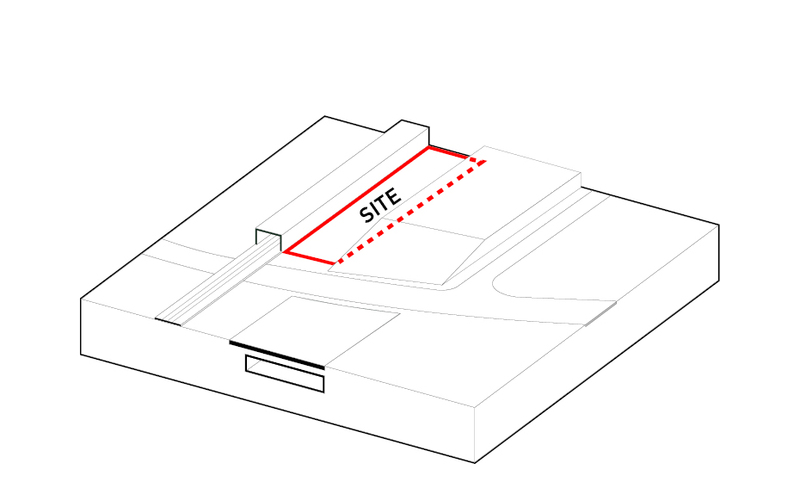 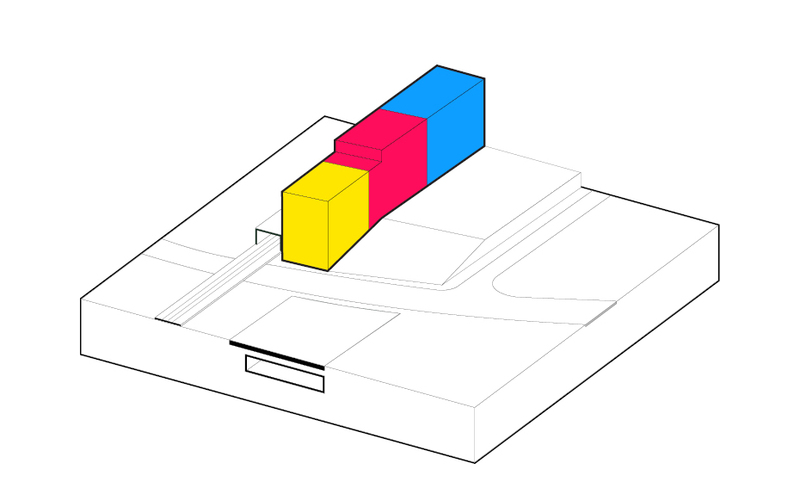 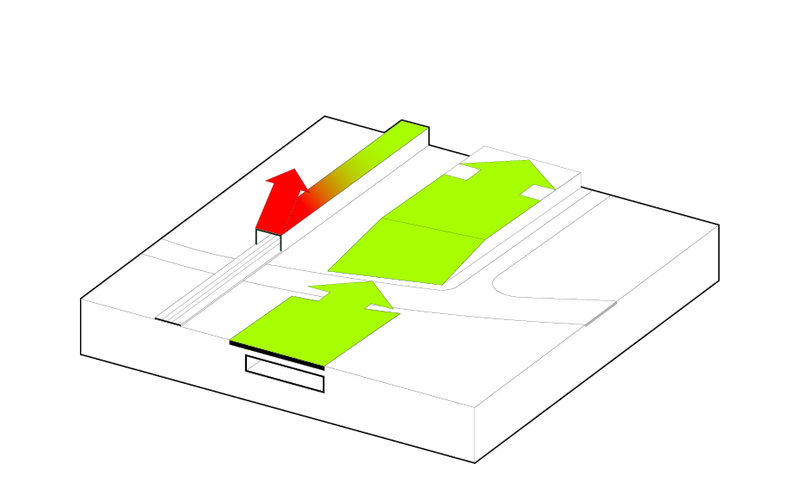 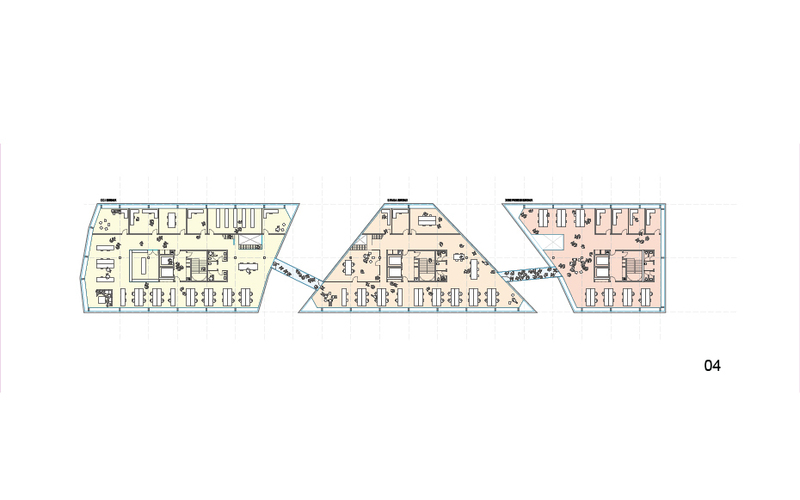 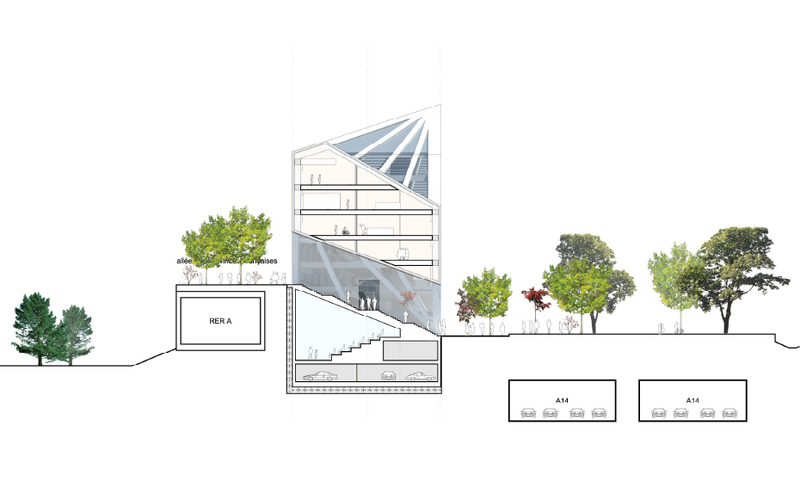 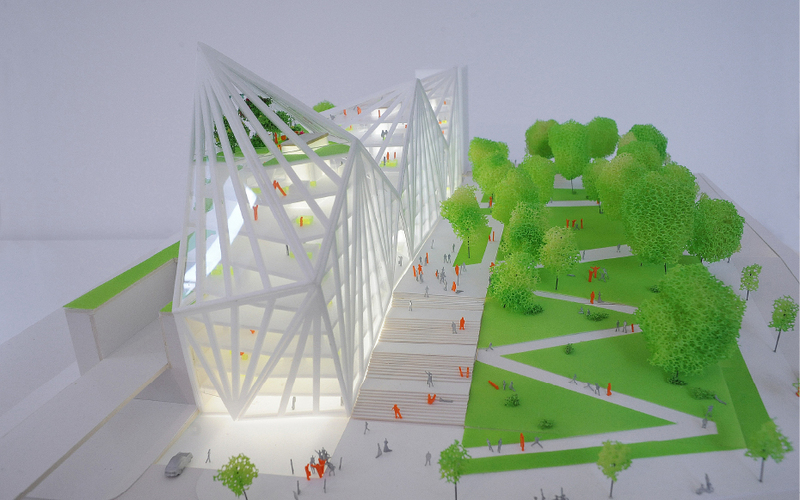 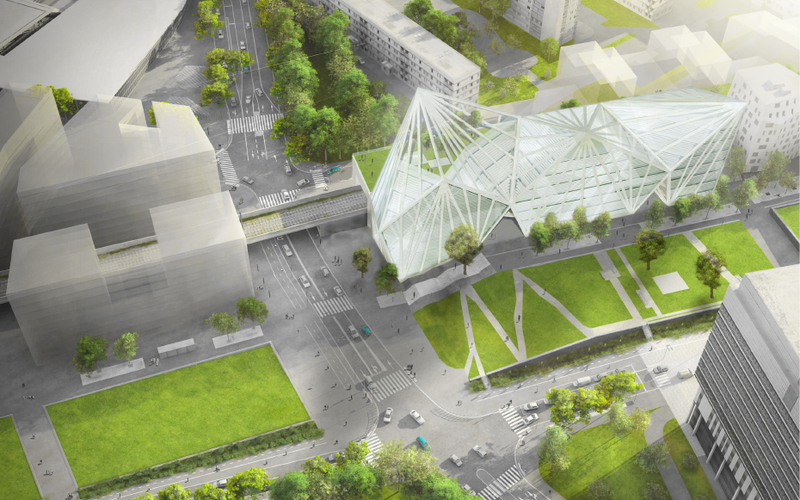 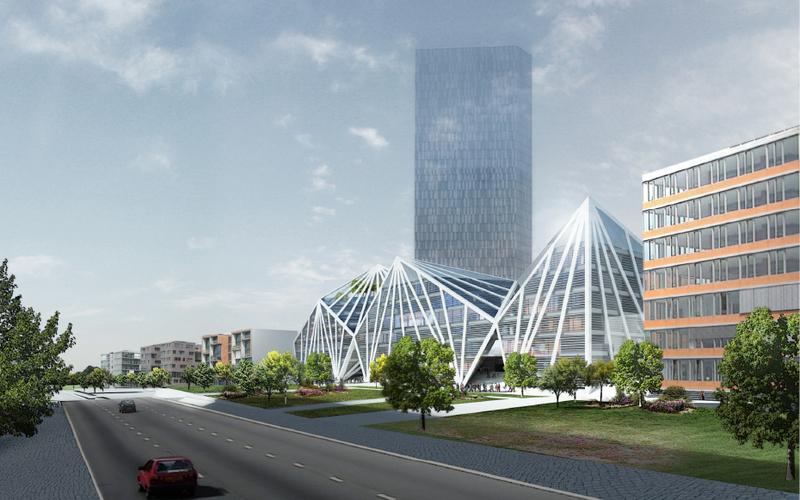 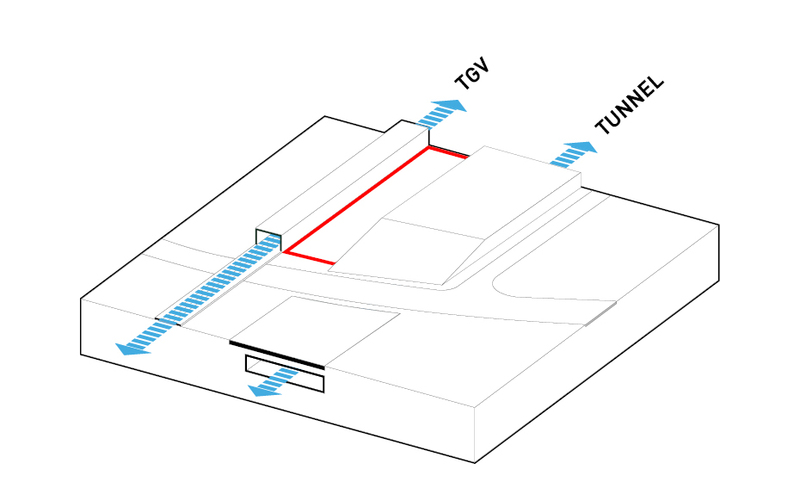 Required to function as one building with three different clients (with shared and separate facilities), the project manifests itself as a diamond-like volume broken up in a tripartite slab -the implosion of 3 prisms into one ensemble, outlining yet uniting a mixed use programme of offices, exhibition spaces and conference facilities.